I enjoy the privilege of establishing professional relationships and working directly with so many brave patients while sharing advances in technology and tailoring treatments to maximize effectiveness and minimize side effects. 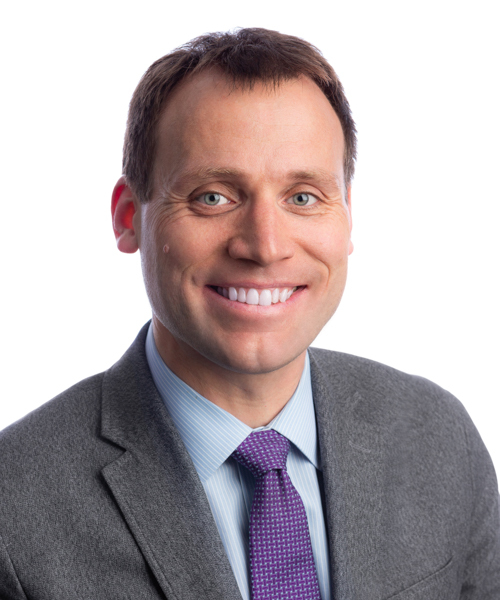 Dr. Dan Wattson is a board-certified radiation oncologist at MRO Fairview Southdale and a Minnesota native. Dr. Wattson is passionate about using the latest proven technologies for treating all types of cancer.In addition to his experience treating patients with prostate seed brachytherapy and gynecologic brachytherapy, Dr. Wattson’s expertise includes all forms of stereotactic brain and body radiotherapy, intensity-modulated radiation therapy, and general radiotherapy. Motivated to practice medicine close to family and friends, Dr. Wattson returned to Minnesota, married the love of his life, and joined MRO in 2014. His other love of engineering, applied mathematics, and advanced technology brought him to the medical specialty of radiation oncology, where he fights cancer with precision and serves patients doing work that he loves. Dr. Wattson and Dr. Nathan Hilton, co-leaders of MRO’s Prostate Brachytherapy group, are advancing MRO’s leadership vision by sharing leading-edge radiation therapy with colleagues and patients similar to the enterprising MRO doctors who in 1988 performed the first prostate seed brachytherapy in Minnesota. In addition to being a husband and dad, Dr. Wattson takes part in year-round outdoor physical activities and is a talented jazz musician who enjoys performing. Visit PubMed for a full listing of Daniel A. Wattson’s journal articles.